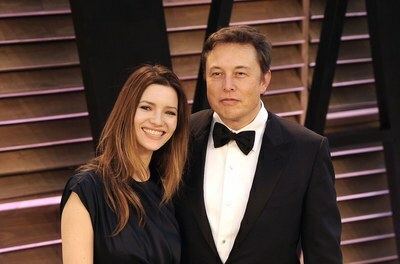 Although Talulah Riley and Elon Musk are going through their second divorce, Talulah seems to believe that she and her husband may reconcile. So, according to her, a reconciliation is not out of the question and there may be room to make the marriage work once again. She actually claimed according to a new interview with the Daily Mail, that she and the co-founder of Tesla remain good friends. “I mean, never say never,” she said during her new interview. “Marriage is a social construct, but I still believe in it. Elon and I are best friends. We still see each other all the time and take care of each other,” the actress added. And the fact is that a reconciliation would not be shocking at all, as it would not be the first time when this happens. So, Talulah and Elon first married back in 2010. After about two years of marriage, the two separated. However, they decided to remarry only one year after their first divorce, in July 2013. Things lasted for more than two years in their second marriage before the actress filed for divorce once again in March 2016. “If this could continue indefinitely it would be lovely,” Talulah said about communicating with her newly estranged husband. “When you’ve been with someone for eight years on and off, you really learn how to love them. He and I are very good at loving each other.” However, despite the fact that she seems to believe that she and Elon still love each other and are great together, Talulah revealed that the divorce is really the right decision. Talulah’s comments on a possible reconciliation with Elon Musk came only a month after the famous co-founder of Tesla was rumored to be dating no one else than the estranged wife of actor Johnny Depp, Amber Heard. The two were reportedly spotted in the same hotel in Miami. Some insiders claimed that the two were seen leaving the same hotel room, although a rep for Musk denied the claims. Another insider claimed that Elon and Amber are just friends.